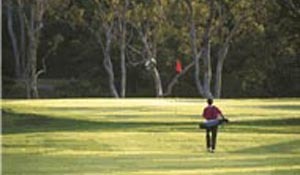 This is about how you plan to successfully navigate a golf course and avoid all the pitfalls, including the sand traps, water hazards, trees and the rough along the fairways. It takes one shot at a time. You have heard this time and time again, but do you really understand how it applies to the game of golf, your golf course strategy and overall course management? Managing the drive, the lay-up and approach, and the putt is how we manage our entire golf game. It's that simple; we take them one at a time. 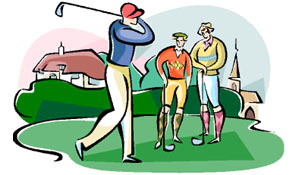 On the golf course never use a shot that you are not confident you can perform. That means if you had to make the same shot 10 times, you should be sure you could make at least six out of 10 of them. That's confidence. Play out of your confidence and not your ego. Never let your ego swing the golf club. This is probably the best golf tip ever - use it! When you play out of confidence you know your ball flight. Every time you stand over the ball, you have an idea of where the ball will end up. Never play a shot if you don’t know where the ball will go and how far. Part of developing this level of confidence is documenting how you are playing for par. Your mindset in good course management is to stay on the fairway while improving your score. One golf course strategy tip is to forget about how far you may hit the ball and think only of not losing the ball you are playing. When you can get around 18 holes with one golf ball, you will have found your baseline score. This simple tip alone will take strokes off your score.